The Town of Brookhaven will hold a free Residential Waste Disposal Week from Monday, April 22nd to Saturday, April 27th. 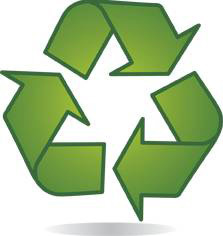 Brookhaven Town residents and/or property owners can dispose of household items free of charge at the Landfill Drop-off facility located at 350 Horseblock Road in Brookhaven. The facility is open Monday through Friday from 7:00am to 3:00pm and Saturdays from 7:00am to 12:00noon. Metal, tires, electronics, household hazardous waste, and yard debris can be disposed of during Free Residential Disposal Week. Items must be placed in the designated areas. Proof of residency is required (driver’s license, utility bill, tax bill, etc.). Cars, SUVs, minivans, pickups, vans, and vans with single axle trailer qualify. Absolutely NO commercial vehicles with commercial plates or commercial lettering will be allowed. All businesses and commercial vehicles will be charged regular tipping fees. This includes commercial vehicles brining material that originates from a Brookhaven residential property. The Town will also hold a Free Residential Waste Disposal Week from Monday, October 7 to Saturday, October 12. For more information, call 631-451-TOWN (8696) or visit www.BrookhavenNY.gov. South Country Concerts' final performance of their 19th season will be held on Sunday, April 28th at 5:00pm at Christ Episcopal Church Parish Hall in Bellport. South Country Concerts was founded by two internationally known Bellport musicians, soprano Deborah Birnbaum and cellist Laurinel Owen, with the mission to provide the highest quality concerts to South Shore residents. Featuring an eclectic mix of classical repertoire in an intimate and informal setting, the series has an outreach to music lovers of all ages. The acoustically superb Parish Hall of Christ Episcopal Church in Bellport offers a warm and intimate setting for you to experience live classical music close to home. To welcome spring, this performance will include a return to Shostakovich in a new arrangement of his Preludes and Fugues originally for Piano. Schubert’s Quintet with two cellos will also be featured, and is considered by many to be the finest chamber work in the entire repertory. Click here for more information. 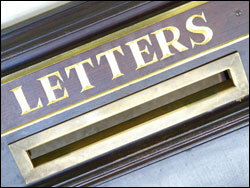 New Letters to the Editor have been posted. Click here for more information. Join the Bellport-Brookhaven Historical Society for the grand opening of their latest exhibition, "The Photography of Frances H. Toms" on Saturday, May 18th at 5:00pm. Frances H. Toms (1865-1948), camera in hand, was a familiar figure around the Village of Bellport in the early 1900's. 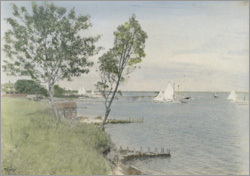 She visited the summer houses, sailing races, and suffrage meetings up and down Bellport Lane and captured them beautifully in her photographs. BBHS has an archive of her iconic postcards and a period scrapbook with original hand-tinted images which they are pleased to show in their new exhibit in the Barn Museum. Click here for more information. 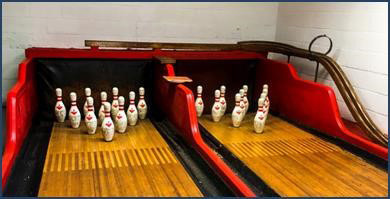 Join the Bellport Village Program Fund for the unveiling of the newly restored bowling alley and recreational space of the Community Center on Sunday, May 26th from 4:00pm-6:00pm. Food and refreshments will be served. Click here for more information. 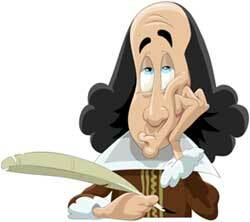 A new classified ad has been posted seeking a handyman/person to do several small odds and ends at a local residence. Click here for more information. 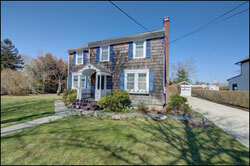 Swan Realty has posted a house for sale in Bellport Village. This charming 1910 home in the Village of Bellport is in mint condition! If you or someone you know is in the market for a new home, be sure to check it out! Click here for more information. 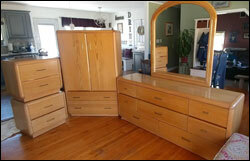 A new classified ad has been posted for an Ash Bedroom Set for sale. Click here for more information. A new classified ad has been posted for a FREE Love Seat in Bellport. Click here for more information. Deborah L. Galligan broker/ owner of Swan Realty Corp is excited to welcome a new agent, and to announce their top performing agents for Q1 2019! Click here for more information. Attention BHS Class of 1969 graduates! 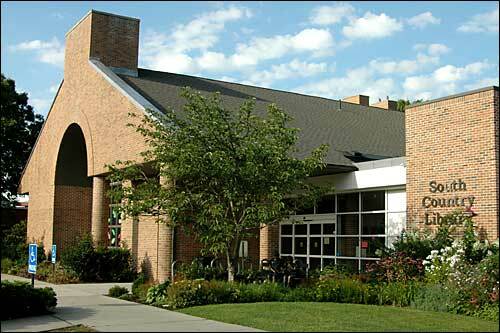 Your 50th class reunion will be held this summer on August 17th! Click here for more information. Bellport-native Robin Starbuck will be a guest lecturer at the upcoming Bellport-Brookhaven Historical Society Authors and Artists presentation on April 6th. 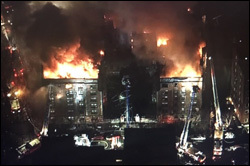 Last week, Robin lost all of her personal belongings, including her car, to a horrific fire in her apartment building in Yonkers. The BBHS shared with us a link to a Go Fund Me page that was set up to help her. Click here for more information. Bellport.com Awarded Constant Contact's All Star Award... For the 7th Year in a Row! For the 7th year in a row, Bellport.com has been selected by Constant Contact to receive their coveted "All Star Award" for 2018. Every spring, Constant Contact selects their All Star Award recipients for the prior year. With over 5 million customers, Constant Contact has been a leader in email marketing since 1995 and is one of the leading communications companies designed to help small businesses and non-profits communicate with the world. Click here for more information. 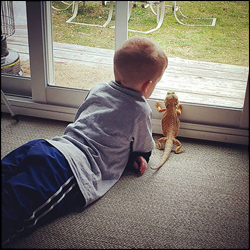 This is Hunter L. Thomas and his Bearded Dragon, Spike just watching the cold world. We adopted Spike from a home that could no longer keep him. He is 3 years old and our newest pet. He is just the best and loves hanging out with his kids and running around the house, That is, until it is warm outside and we can take him out on his harness which has dragon wings, but for now they watch from the slider. Amy has won a $25 gift certificate for Café Castello. Café Castello Italian Restaurant and Pizzeria in Bellport Village is family owned and operated. Their delicious pizza dough is prepared fresh daily and they use only the finest tomatoes and the best herbs and spices when preparing their sauces. All orders are prepared to order and they serve Breakfast, Lunch, and Dinner. Click here to see all of our past photo contest winners. A new classified ad has been posted for a FREE Oak Entertainment center. Click here for more information. Attention parents of preschoolers! 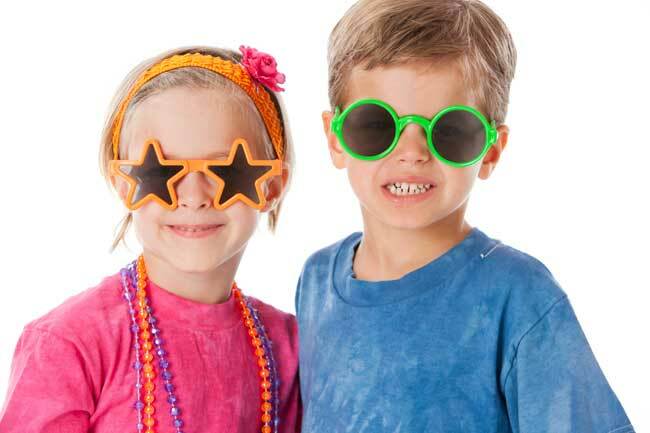 Do you know what you're going to do with your kids this summer? Why not send them to the Bellport Methodist Preschool's summer camp! They have several scheduling options and the camp includes weekly themes and special guests! Click here for more information. 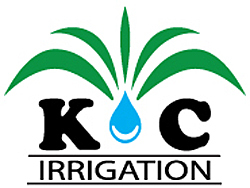 K&C Irrigation welcomes you to the 2019 Spring season with some exciting news of products that are on the market to enhance your home! They have new products to use your smartphone to control not only your irrigation, but your outdoor lighting as well! K&C Irrigation has been installing quite a few systems here in the local area. Subtle lighting to match the historic elegance of Bellport Village! Click here for more information. The Town of Brookhaven Youth Bureau wants to provide teens with an opportunity to attend their prom in style, regardless of financial constraints. The Prom Boutique, located on the second floor in Brookhaven Town Hall, is outfitted as a dress shop fitting room filled with prom gowns with a broad range of styles and fashions. 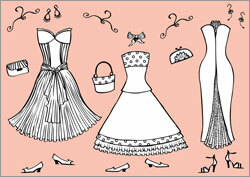 Students are outfitted with a gown and other accessories that are theirs to keep. There is no charge for this service and all clients are kept strictly confidential. 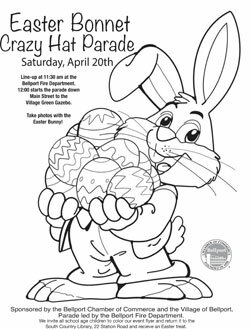 The program will run from March 11 to June 14, Monday through Friday from 9 a.m. to 3 p.m. Evening hours will be on April 9, April 23, May 7, May 21 and June 11 from 5:00pm-7:30pm. For further information regarding the Town of Brookhaven Youth Bureau’s Prom Gown Program or to schedule an appointment, please call 631-451-8026 or visit www.brookhavenny.gov. 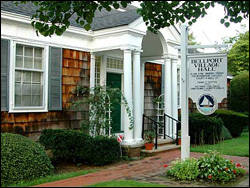 On Tuesday, June 18, 2019, the Village of Bellport will hold an election for Mayor and two Trustee positions. Click here for a list of the important dates leading up to the election. Did you hear about the new Golf Course Driving Range? No??? Well, as close as I can tell, you weren’t supposed to. Click here for more information. On Monday, February 11, 2019, a Village Board work session was held in the conference room in Village Hall on Bellport Lane to discuss the results of the Traffic Study the Village Board had commissioned to study traffic problems in Bellport Village. If you're a full time resident, part time resident or visitor to Bellport Village, I'm sure you're well aware of the speeding and reckless driving that takes place on South Country Road, Station Road and at or near the four corners in town. I'm attaching a recording of the presentation and the illustrations that were presented, but I'll give you the bottom line now... In my opinion, the meeting was a waste of time and money (the Village Board never said how much money) and didn't tell us anything that all of us don't already know. There's excessive speeding on South Country Road, Station Road, and many of the side streets and there have been many accidents at some of the key corners in town, particularly at the four corners. Duh! Click here for more information. A new classified ad has been posted for home aide services available. Click here for more information. In his continuing series highlighting the many wonderful, but little known, opportunities to get out and enjoy the great outdoors on Long Island, this time, Rich Weissmann takes you for a walk to the breach. We’re sure you’ll enjoy the experience. Click here for more information. An award of $10.025 million in State funding has allowed the Suffolk County Department of Health Services to increase the amounts of grants to homeowners who choose to replace their existing cesspools or septic systems with new Innovative/Alternative Onsite Wastewater Treatment Systems, Suffolk County Executive Steve Bellone has announced. As part of an expansion of the County’s own Septic Improvement Program (SIP), homeowners who qualify under guidelines of the State Septic System Replacement Fund may be eligible to receive as much as $20,000 in combined County and State funding, according to the County Executive. The additional funding will make it less expensive for homeowners to voluntarily replace aging and failing cesspools with state-of-the-art technologies that significantly improve treatment, extend system life, and enhance safety. Under the County’s Septic Improvement Program, homeowners can qualify for grants of up to $10,000 to replace their systems with new technologies which have been pilot tested and approved for use under the County’s Reclaim Our Water initiative. Under the State’s program approved in 2018, state funding can be added to local grants, making homeowners eligible for as much as $20,000 in combined County and State funding. The average cost of a system installed under the County program since it began is just under $22,000. Suffolk County has created an easy-to-use electronic application process for homeowners who qualify to apply. For more information, visit www.reclaimourwater.info. In a world of lies and fake news, Bellport.com, now in its 15th year, remains your source for accurate local news and information, but we need your help. 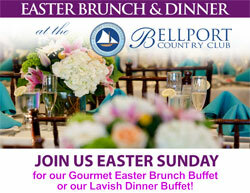 Our advertisers are great, but the fact remains that Bellport.com operates at a significant loss every year and is only able to continue because we support it out of our own pockets. Your subscribing for only 10 cents a day would make a big difference. It’s a shame, but only a tiny number of our readers actually help support Bellport.com financially by becoming Bellport.com Subscribers. It’s time for you to consider stepping up and becoming a Bellport.com Subscriber for 2019 so that we can continue to support our community with news and information. Your help, by subscribing to Bellport.com for only 10 cents a day, that’s only $36.50 for the entire year, can be a big help in keeping Bellport.com going. 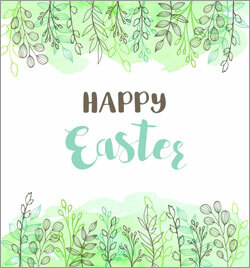 If you can afford $50 or $100 for the year, that’s great, but if you can only afford $25, that will be appreciated too. As usual, if you subscribe for at least $36.50 for the year, you’ll receive FREE Classified Ad Services for the entire year, including photos. If you place just one Classified Ad during the year, this service alone will pay for your subscription! 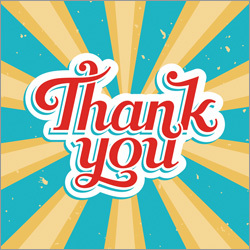 Please CLICK HERE for information on becoming a Bellport.com Subscriber for 2019. 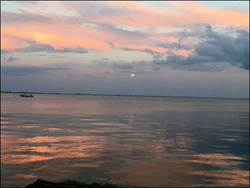 Sign Up for Our Weekly Email Blasts and Your Photo Could be Our "Featured Photo of the Week!" We're starting something new in our weekly email blasts... a "Featured Photo of the Week!" Your photo could be featured at the top of one of our weekly email blasts! If you have a photo you'd like us to consider featuring, email it to us. Be sure to sign up for our weekly email blasts to see if your photo has been chosen! 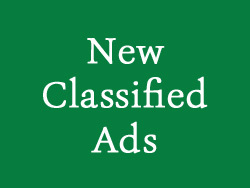 Place your classified ad today! 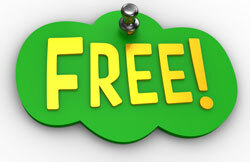 Don't forget- Classified ads are FREE for Bellport.com Subscribers! Click here to submit your own ad.